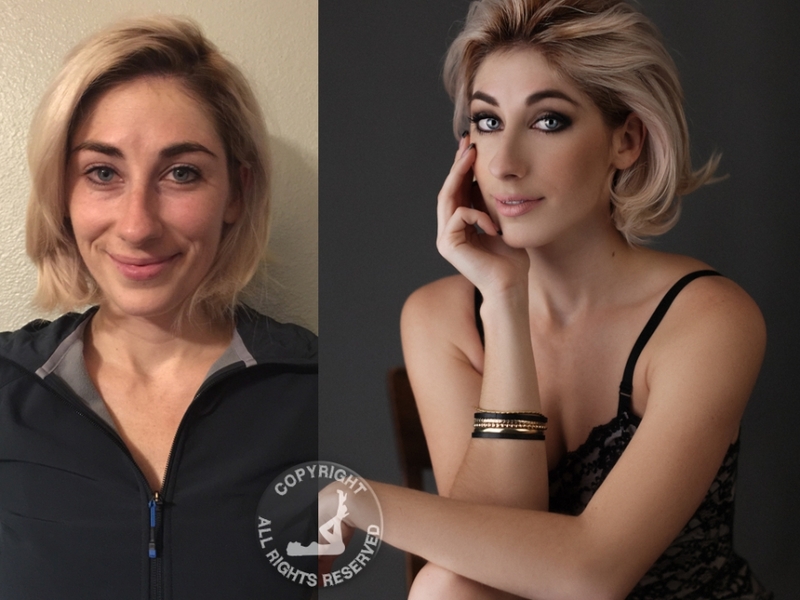 Many people wonder why the unique portraits that we create are so different from the many other photographers out there. 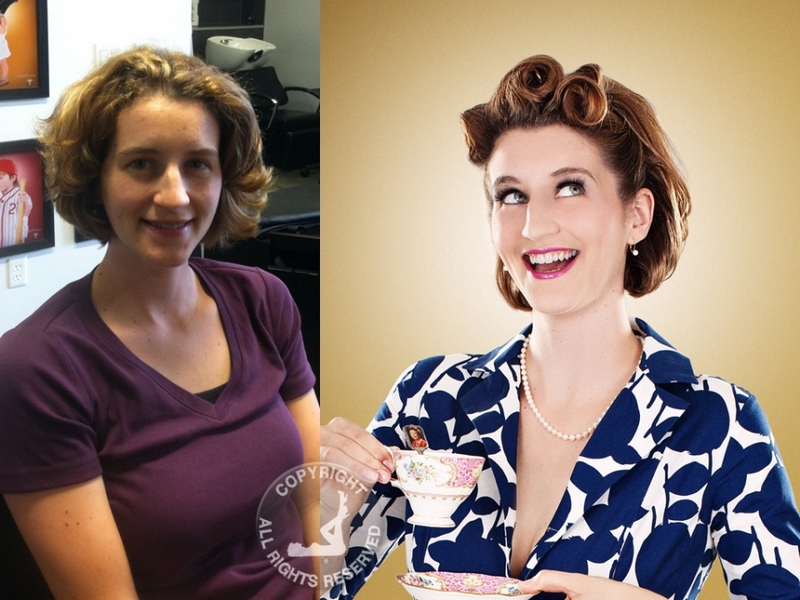 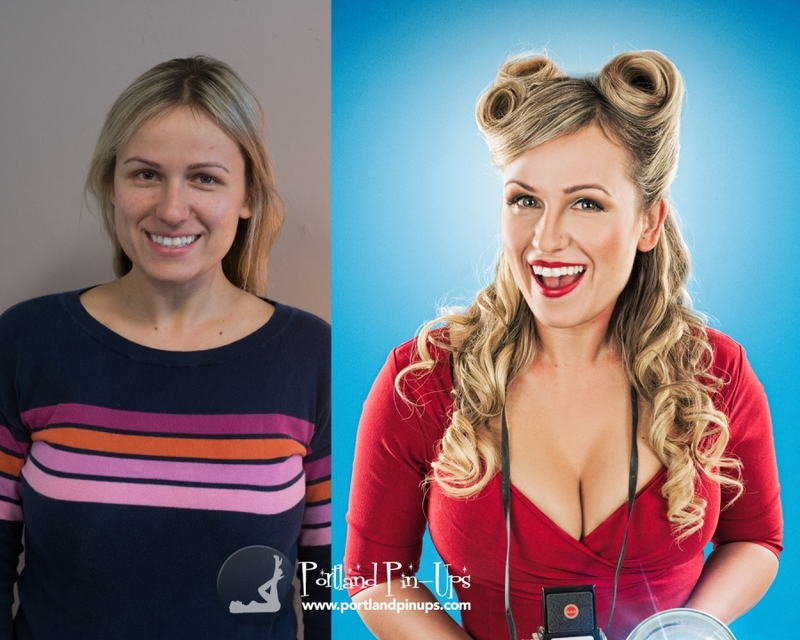 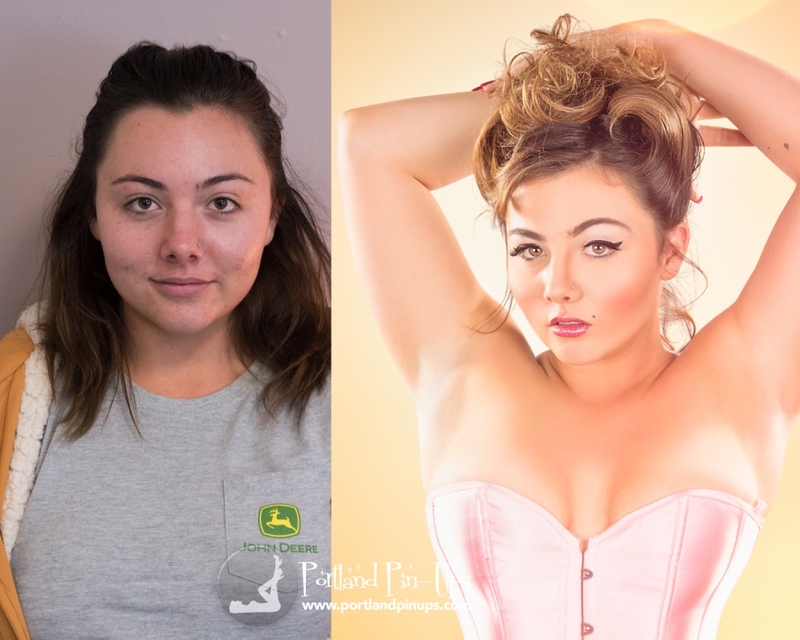 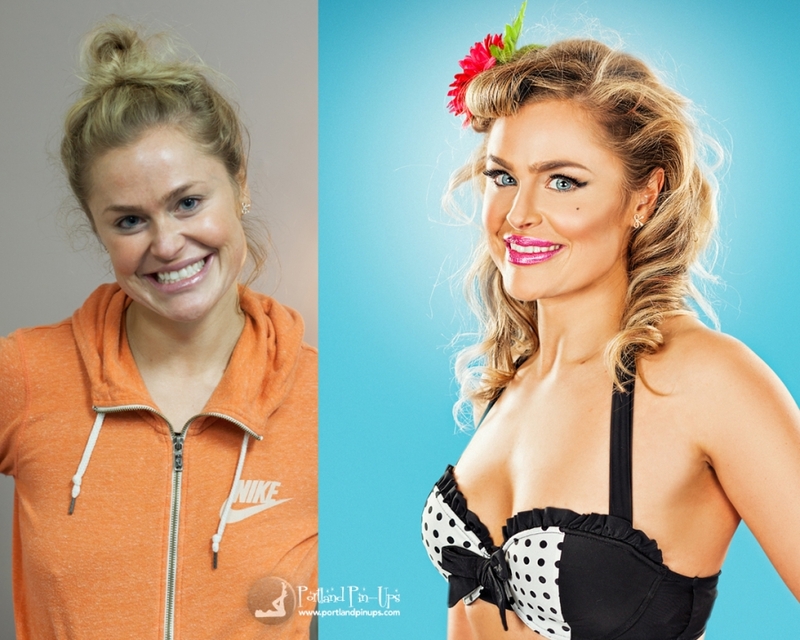 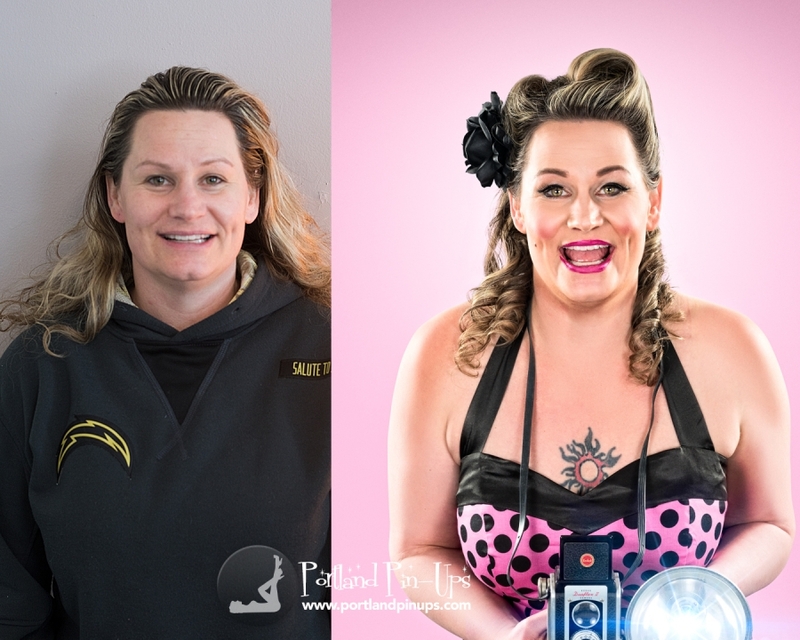 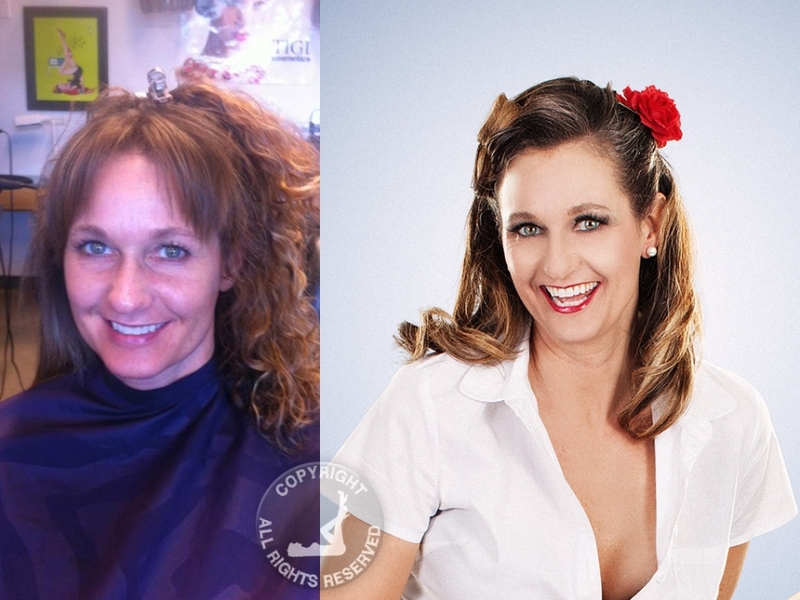 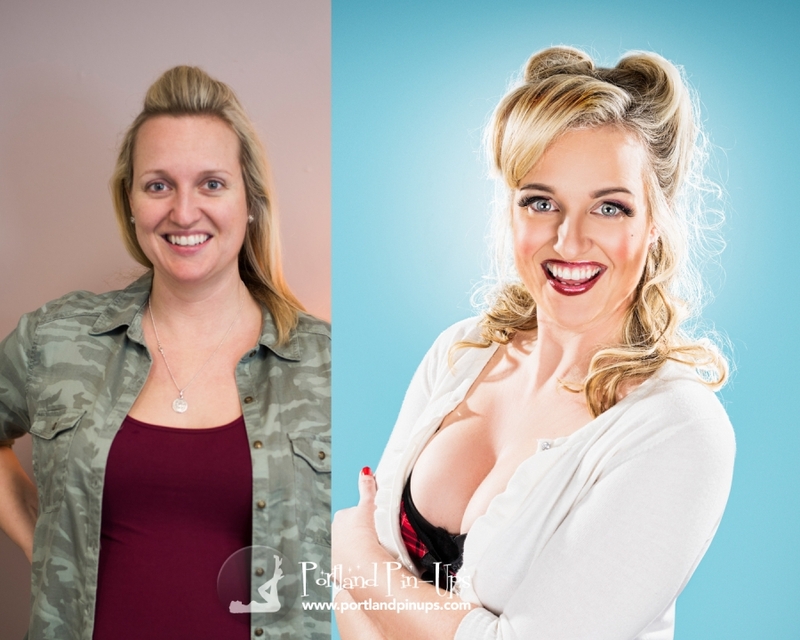 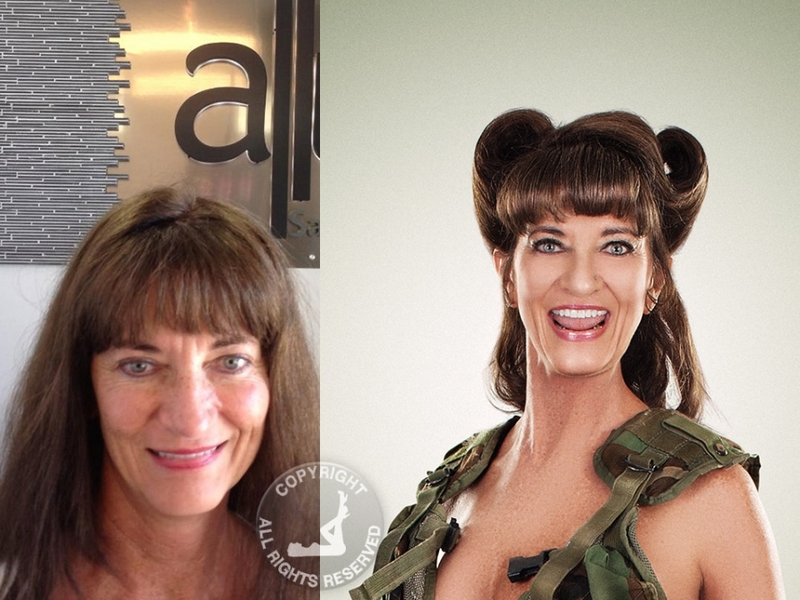 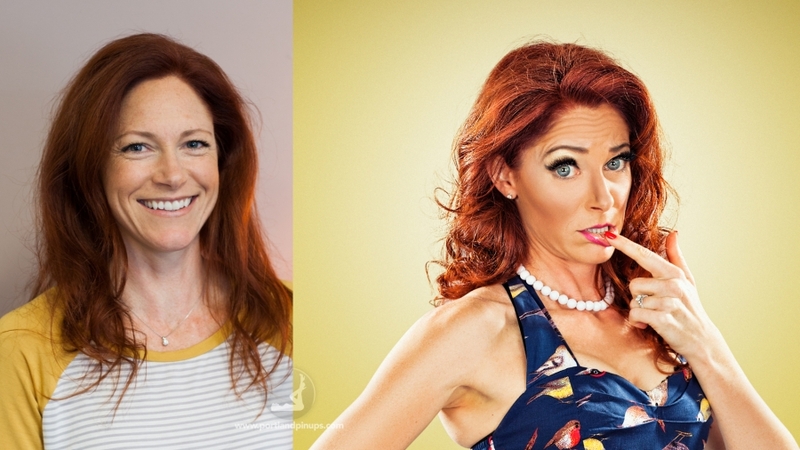 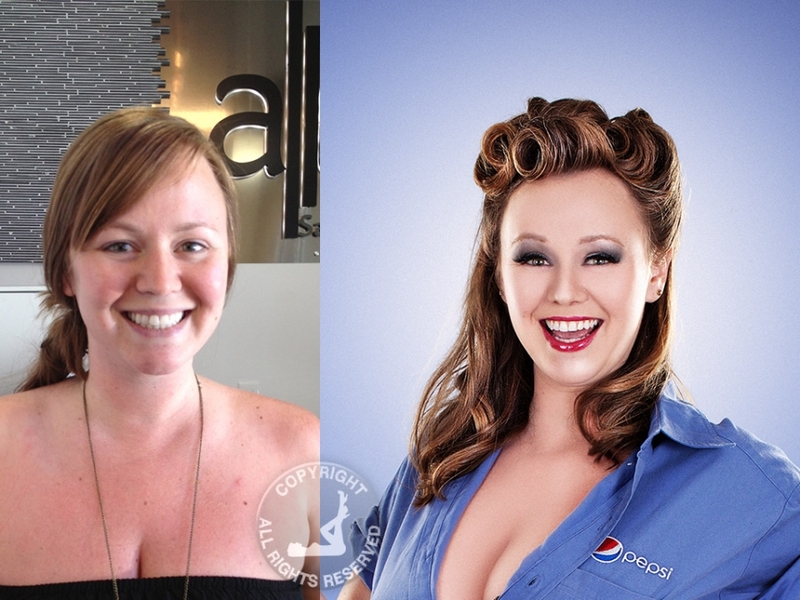 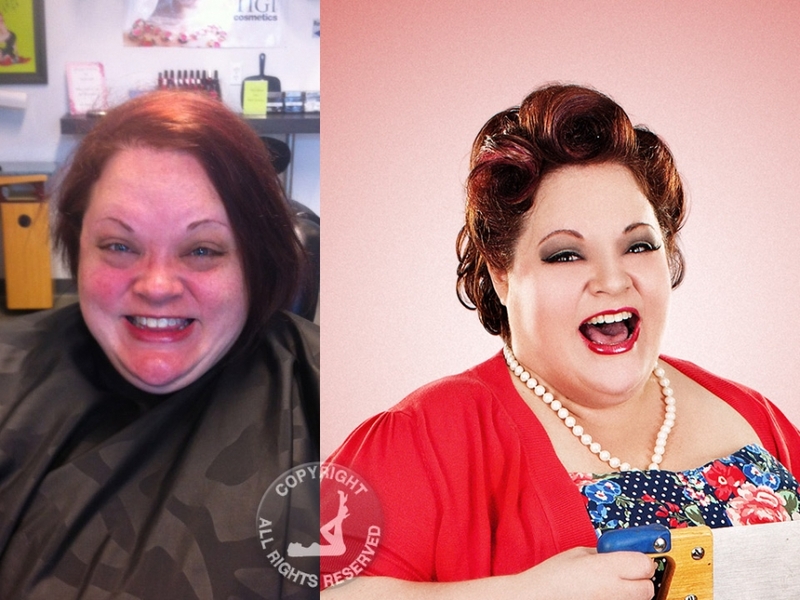 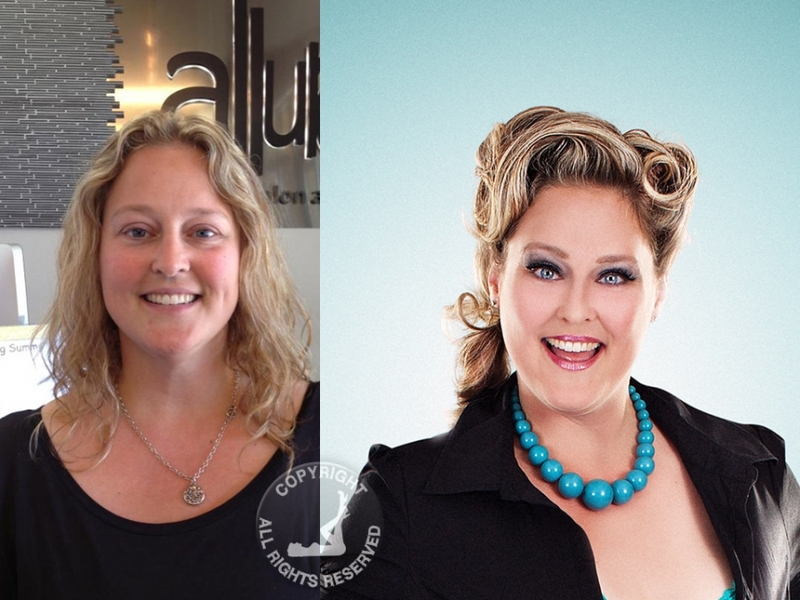 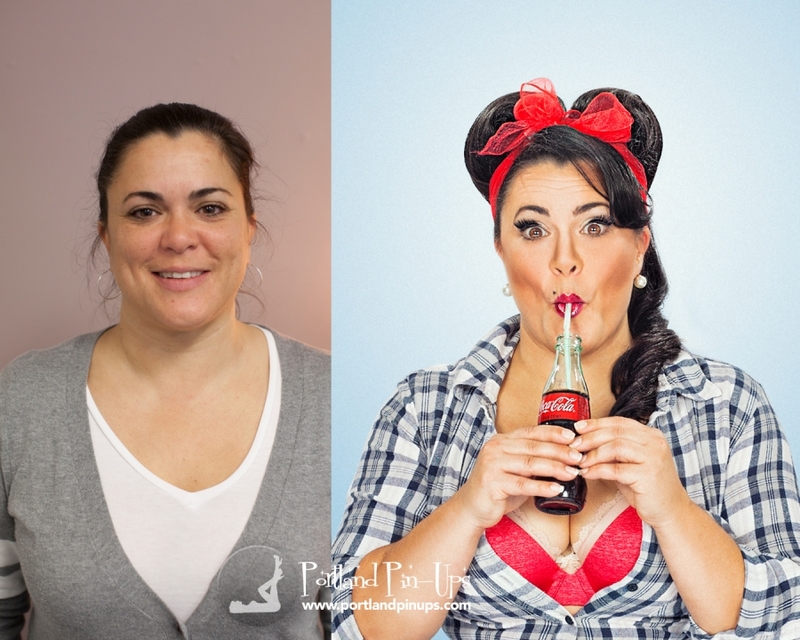 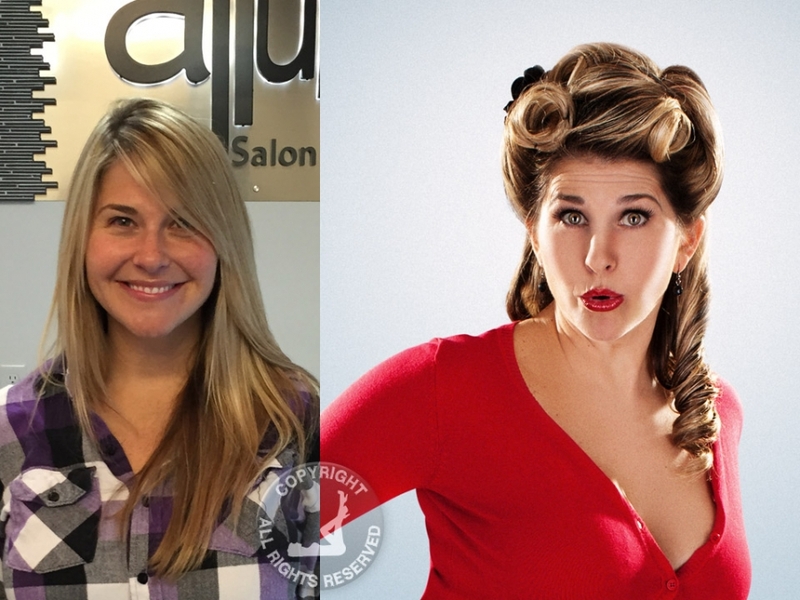 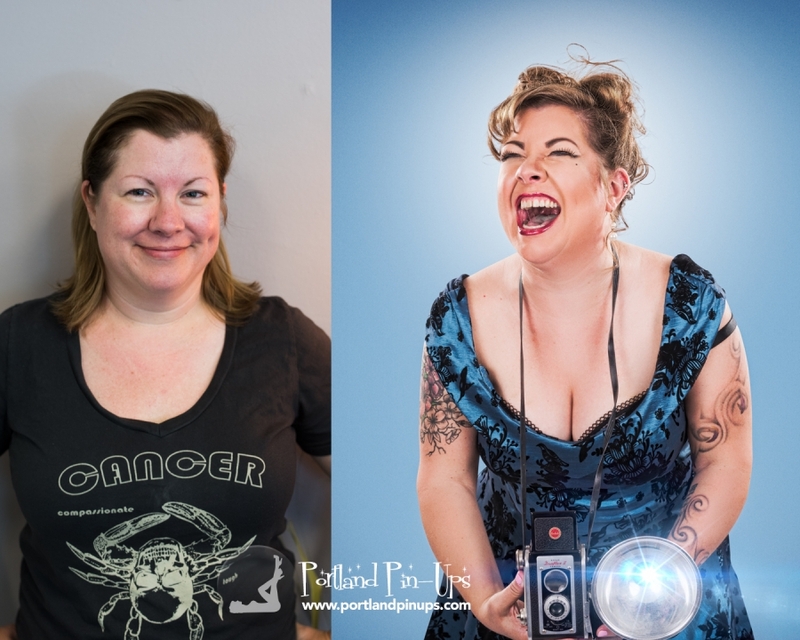 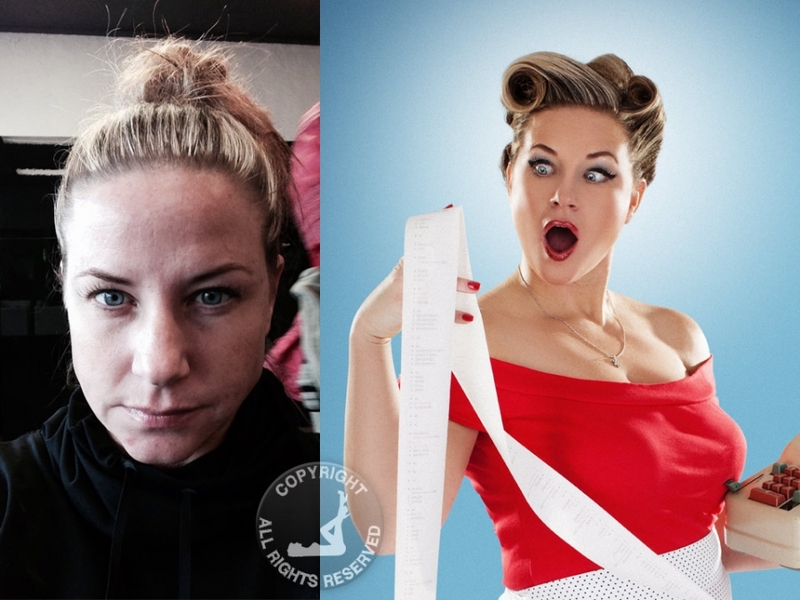 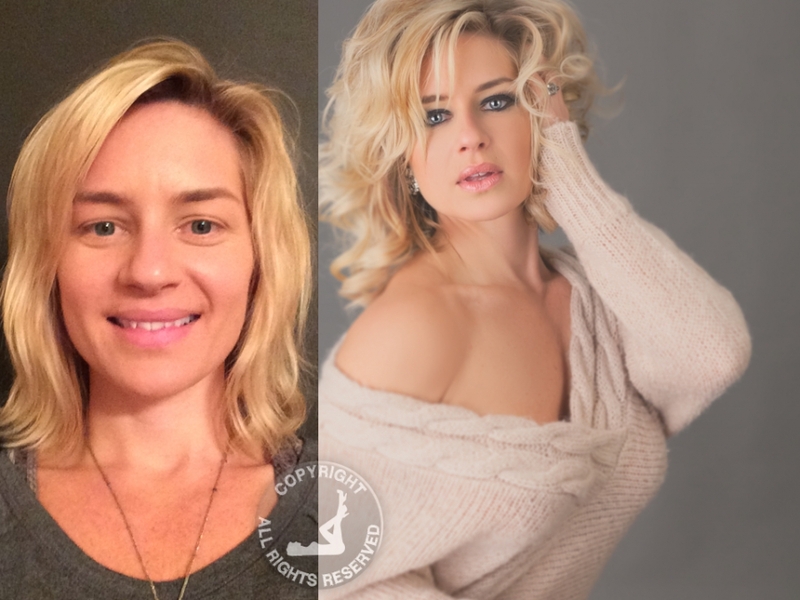 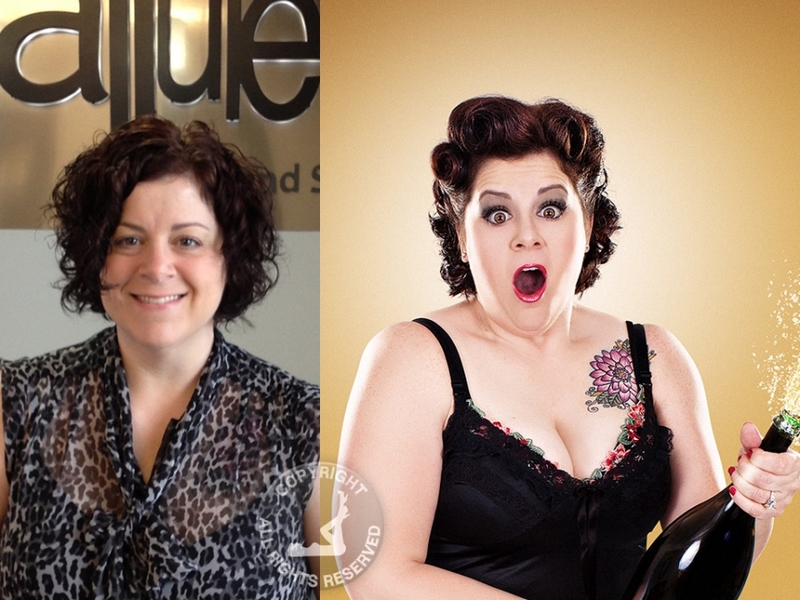 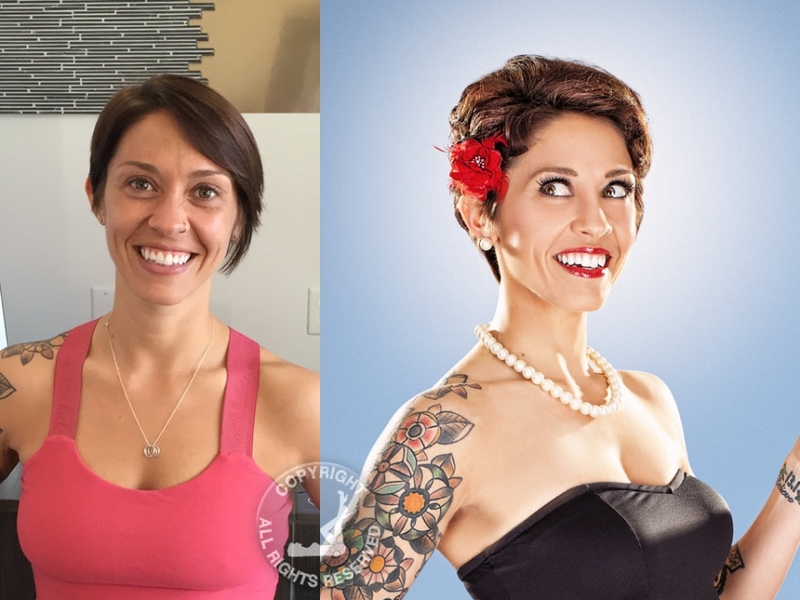 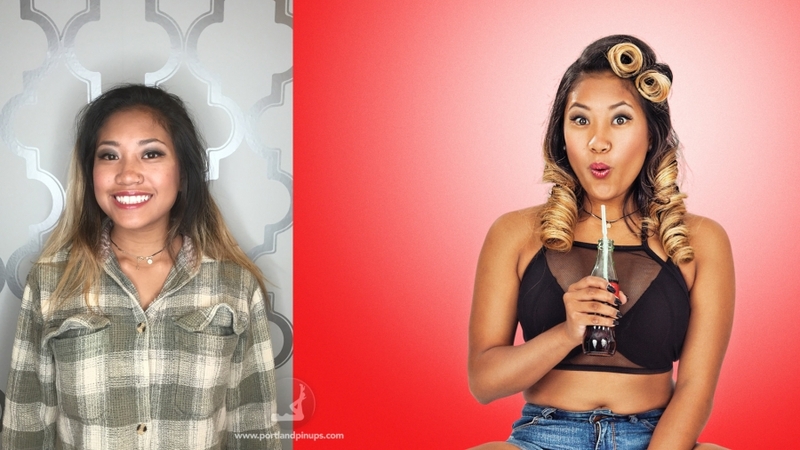 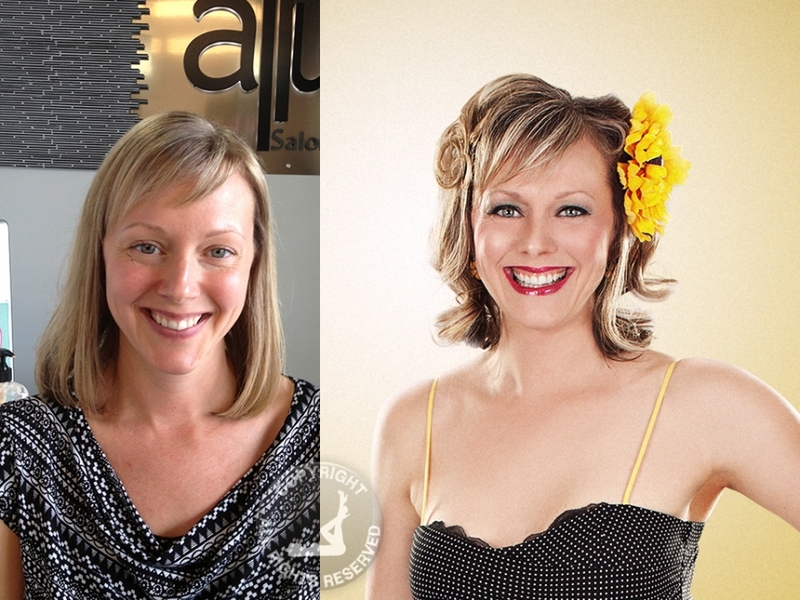 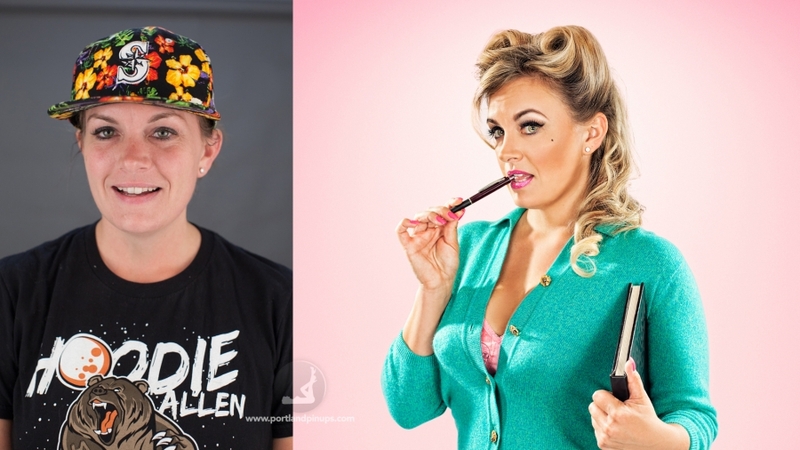 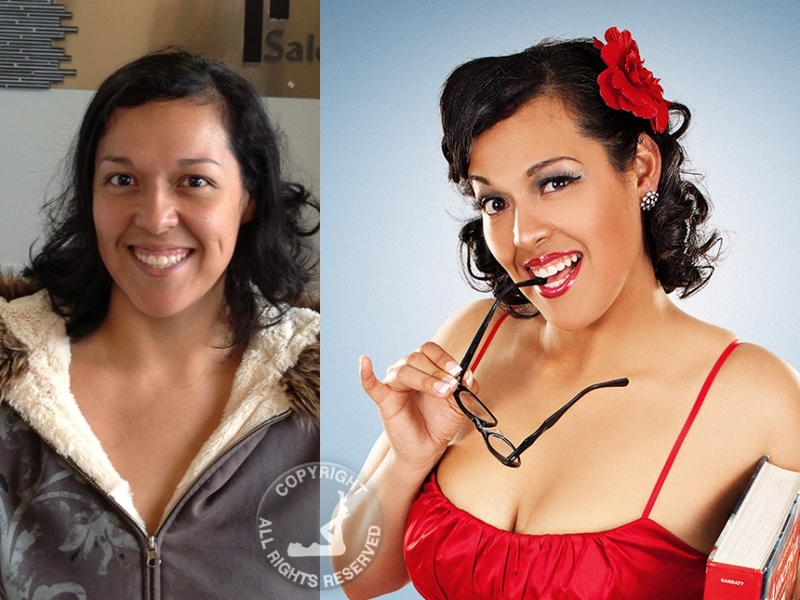 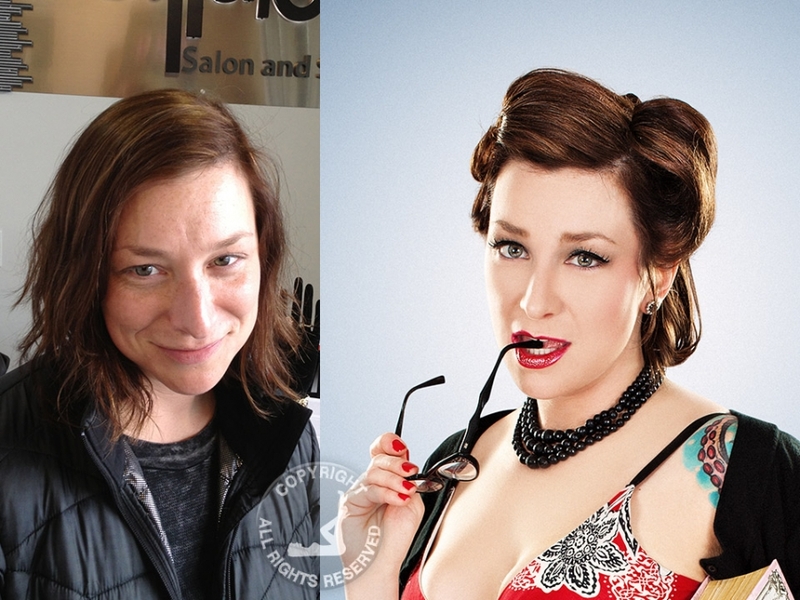 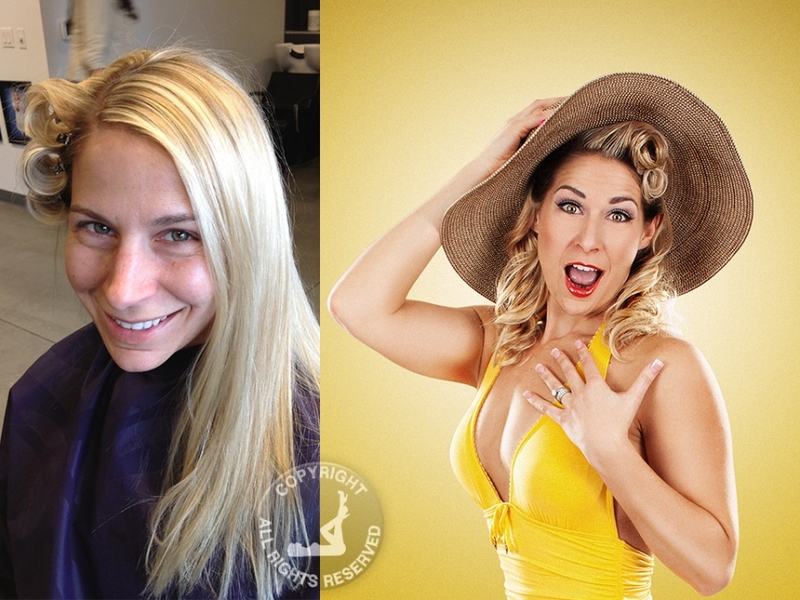 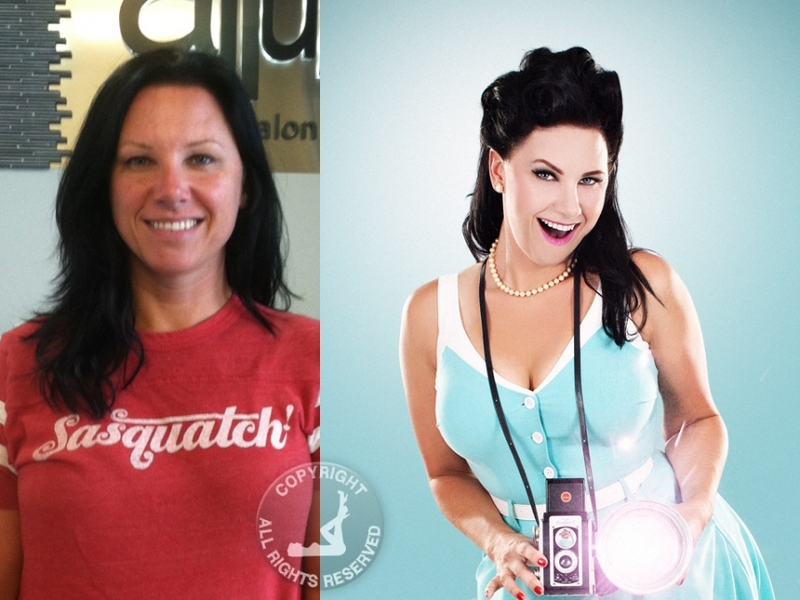 The answer is simple, it’s the Portland Pin-Ups Magic….hair, make-up, lights, posing and custom artwork retouching. 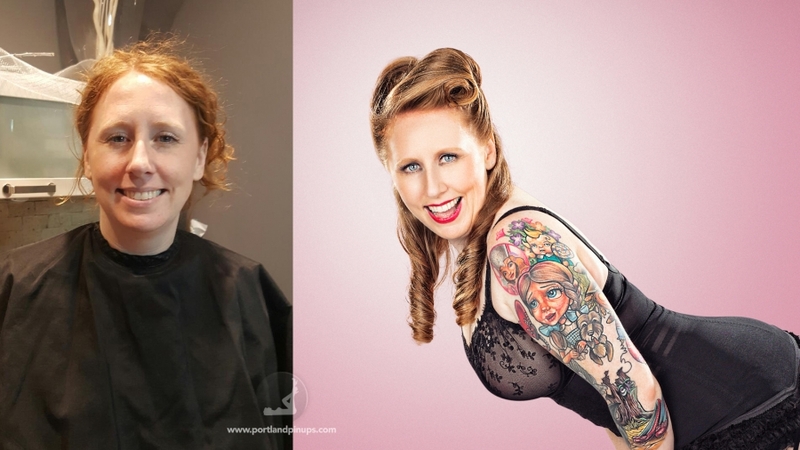 Booking a session with Portland Pin-Ups is the first step to owning a one-of-a-kind artwork from the west coast’s leading pin-up artist, and the creative team that help create stunning artworks. 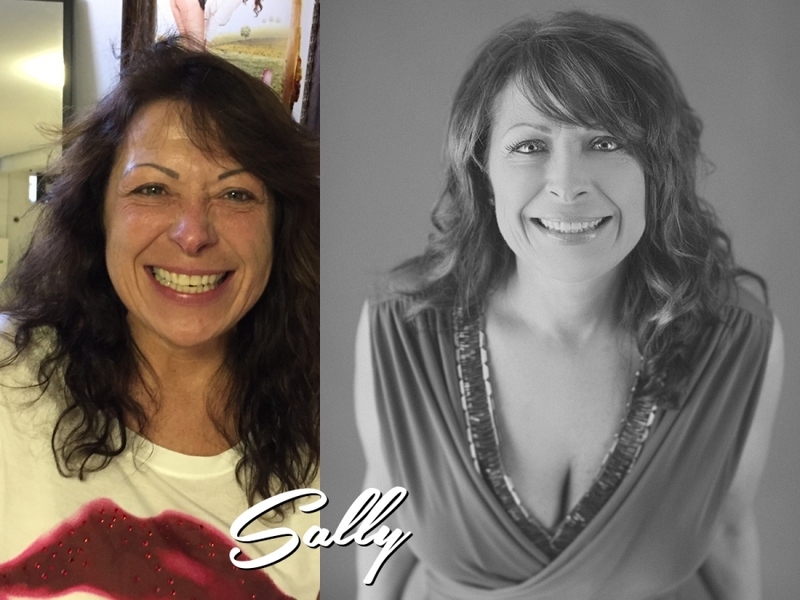 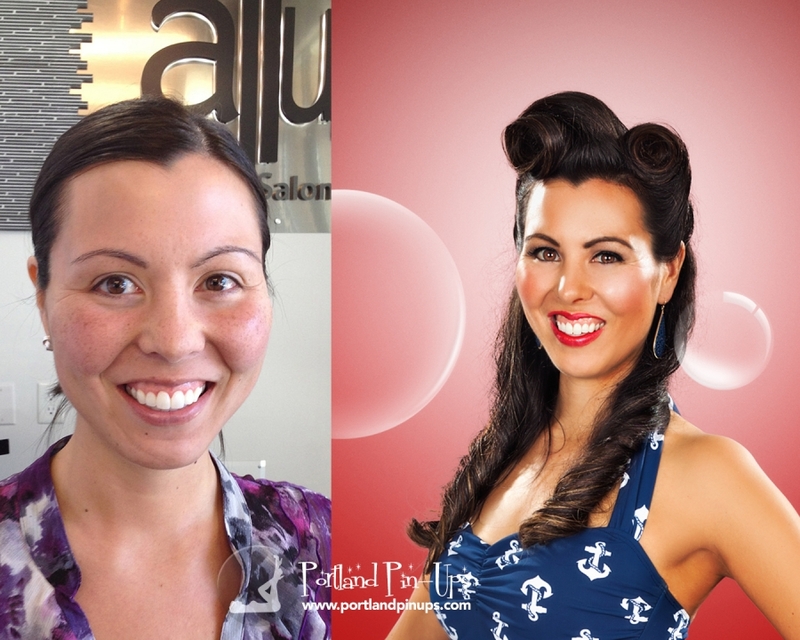 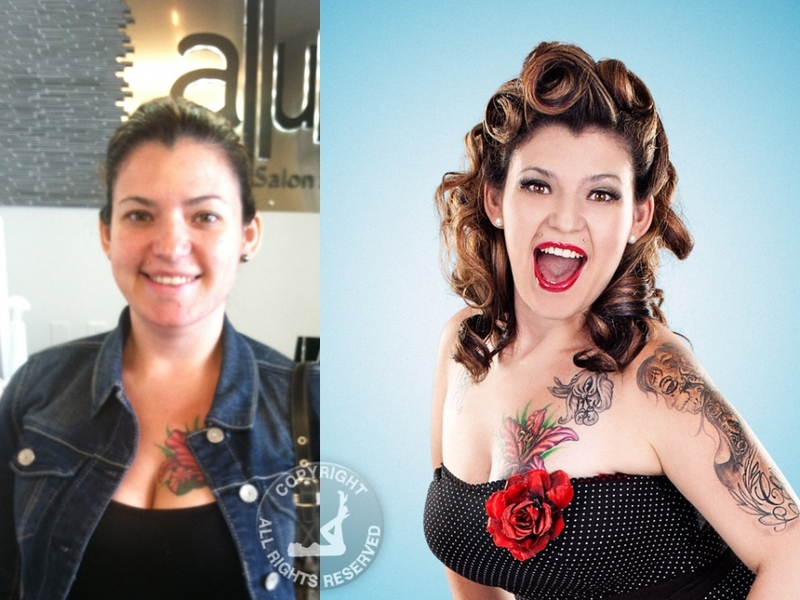 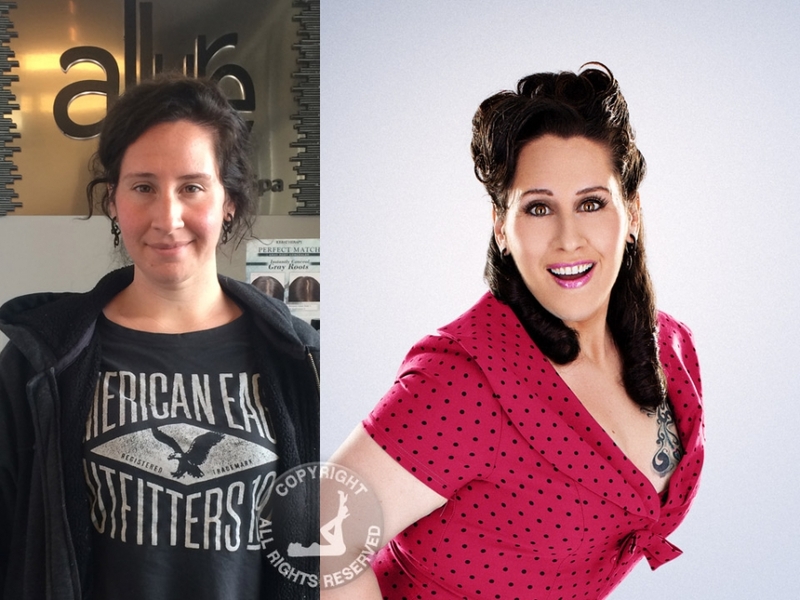 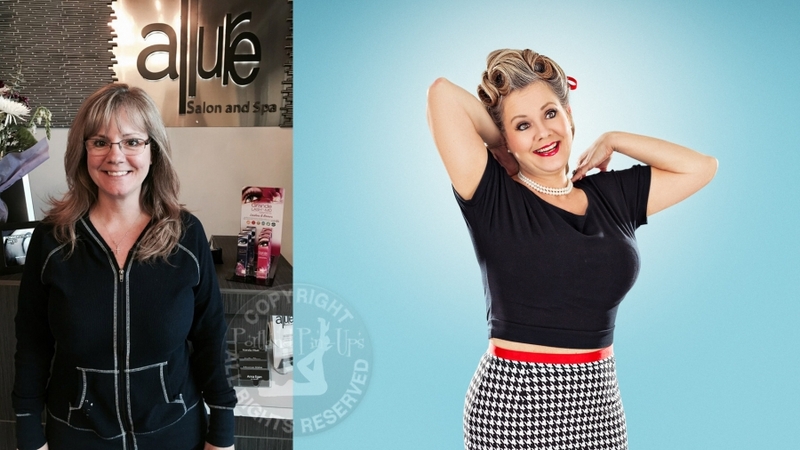 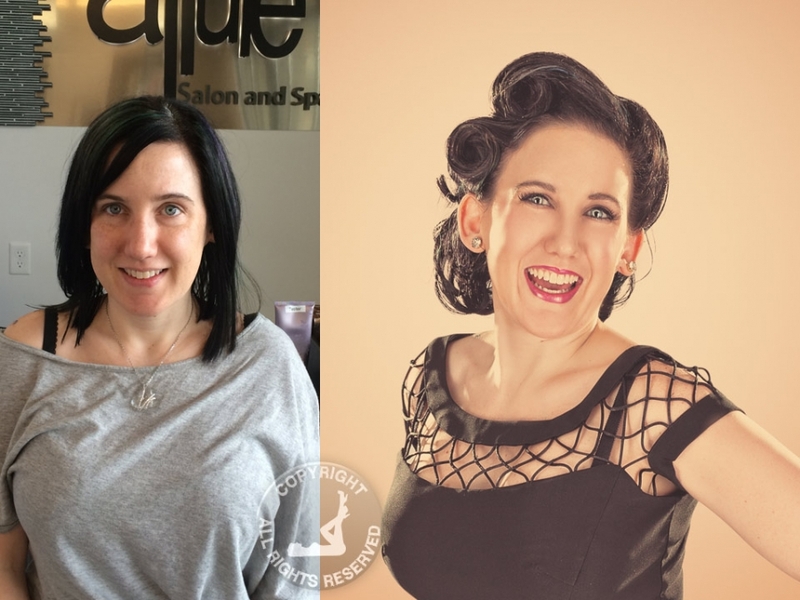 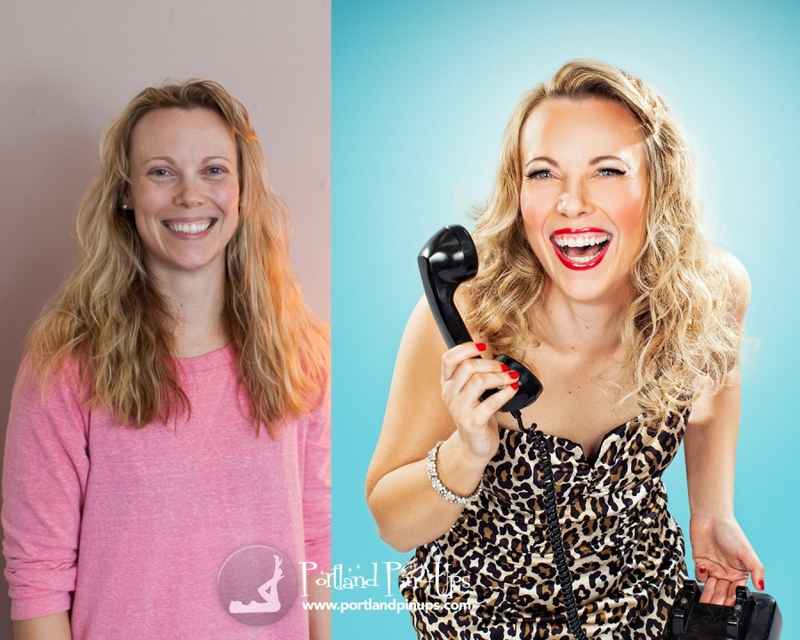 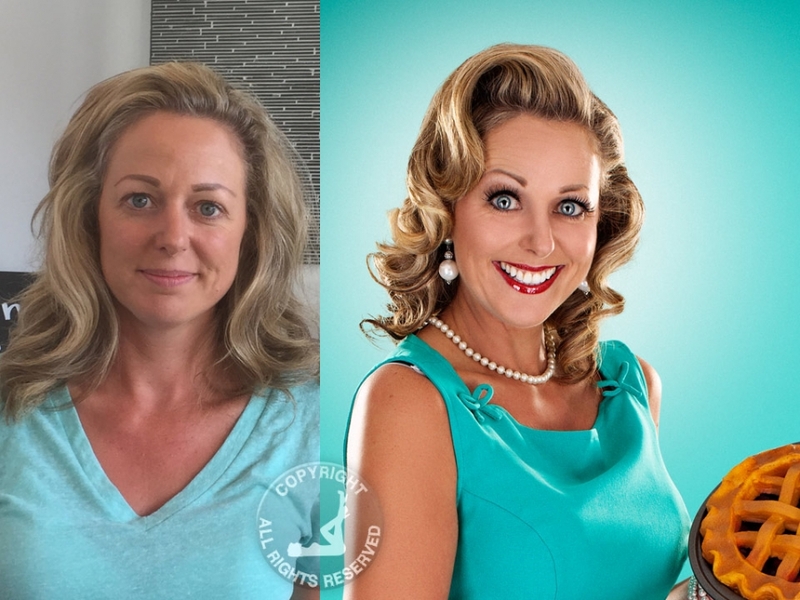 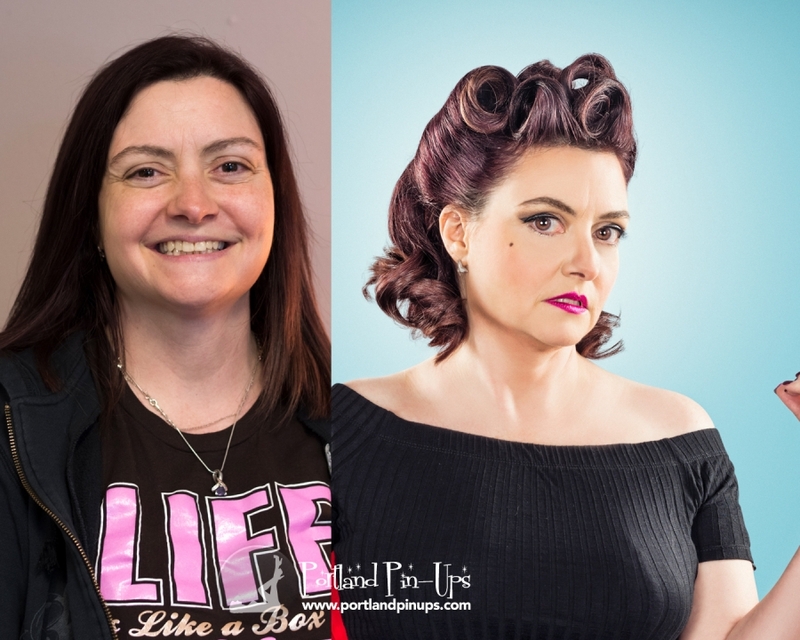 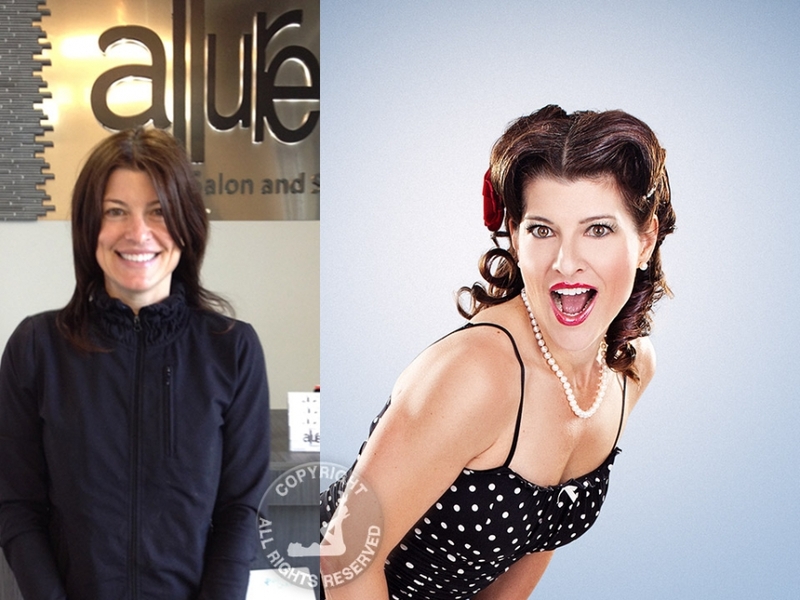 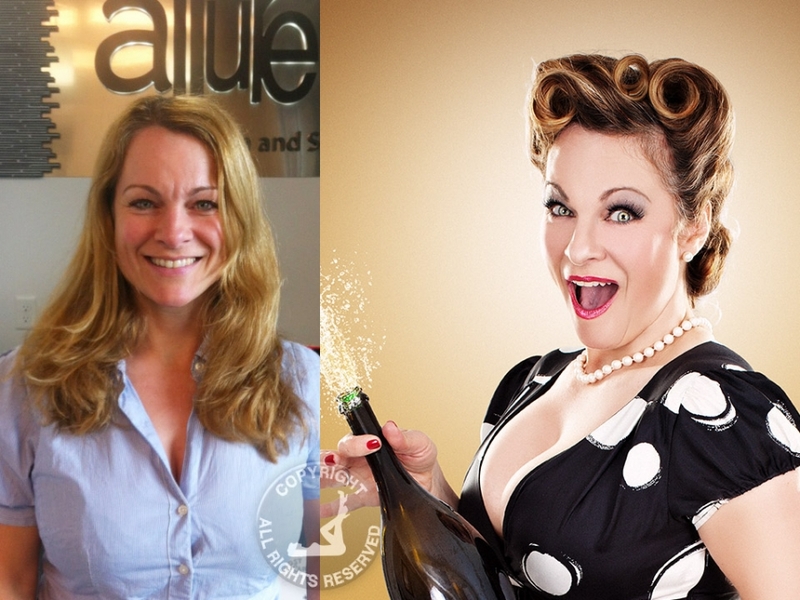 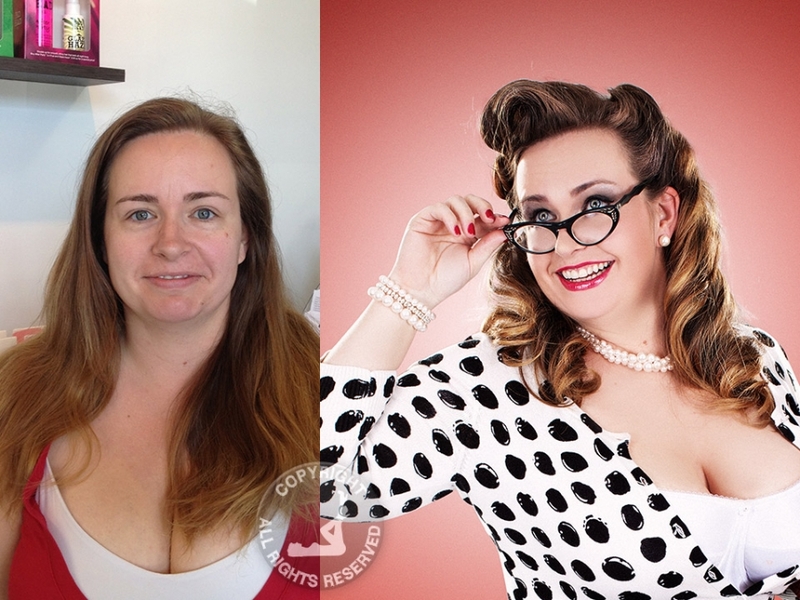 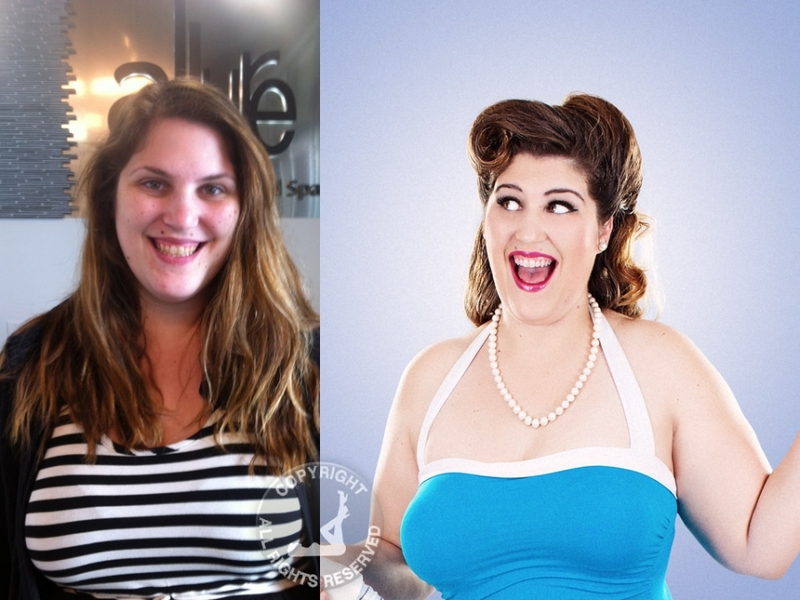 Each session begins with one of our amazing stylists pampering you with awesome 50’s hair and make-up artistry. 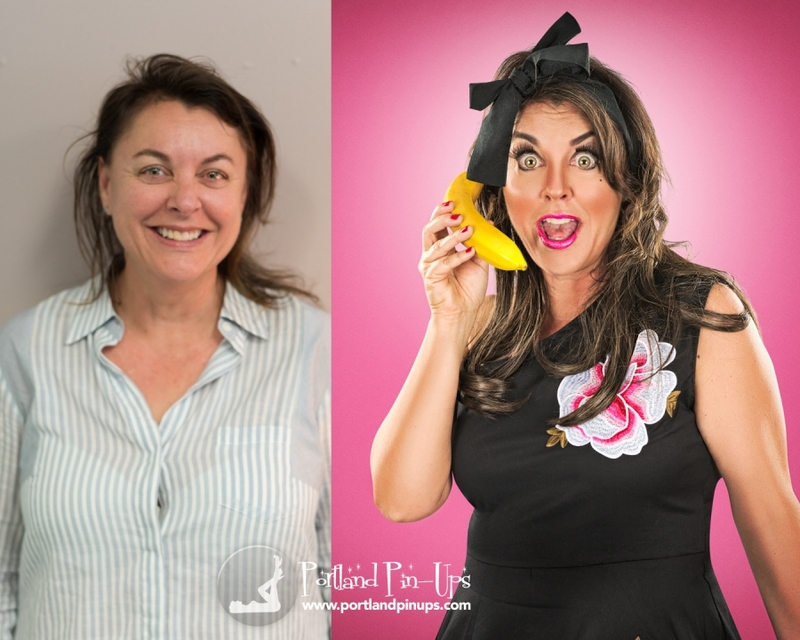 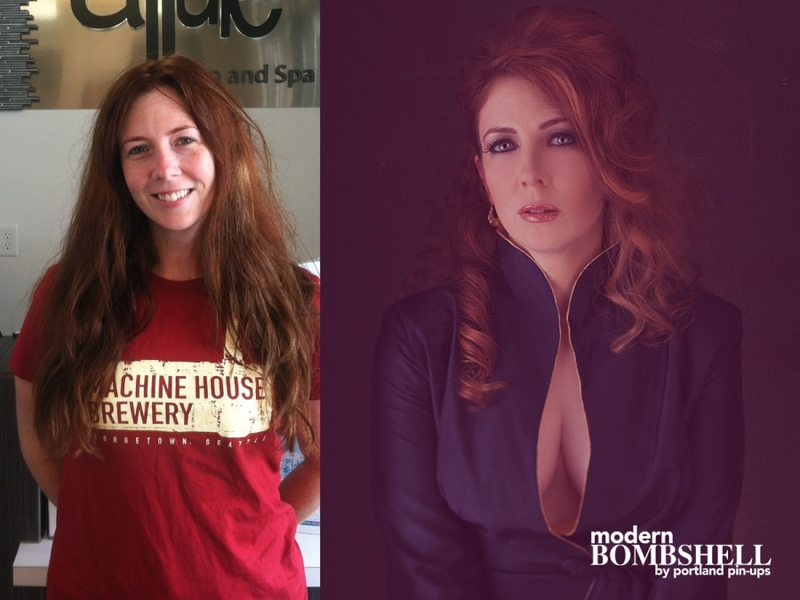 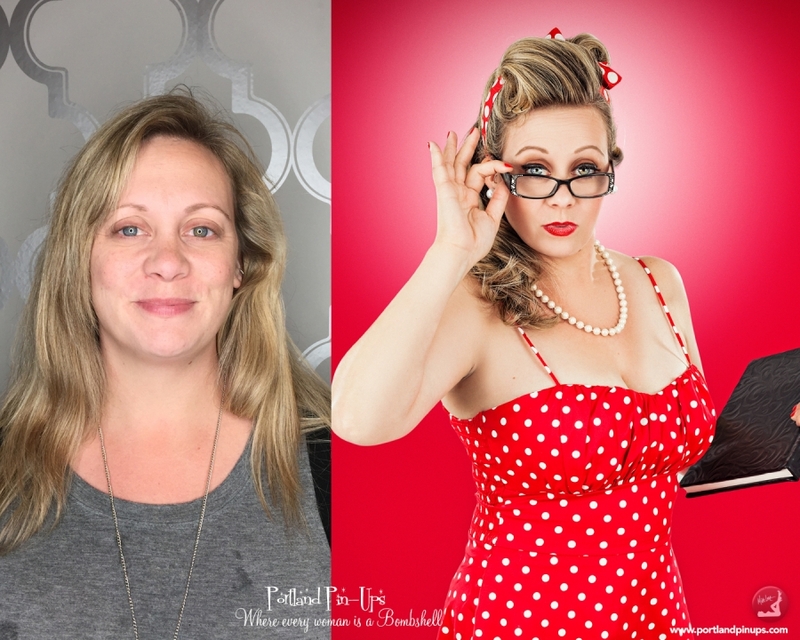 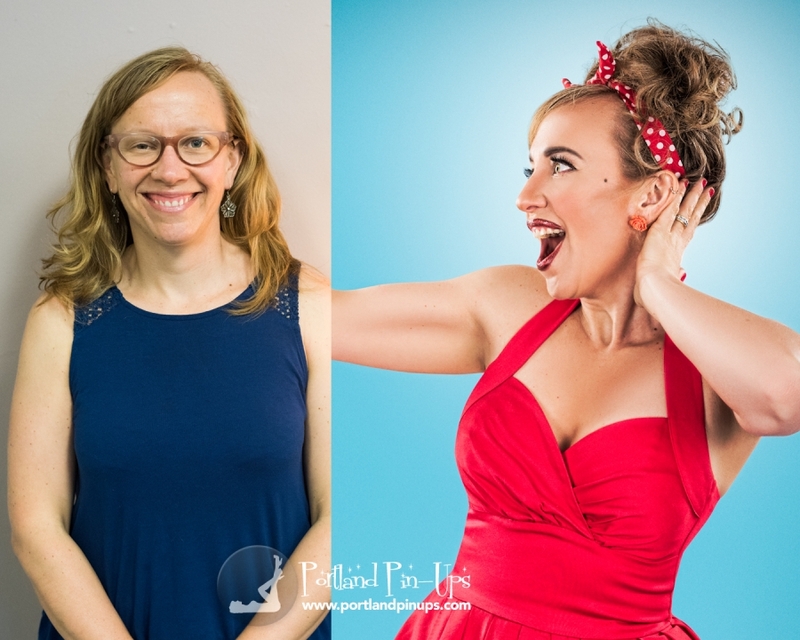 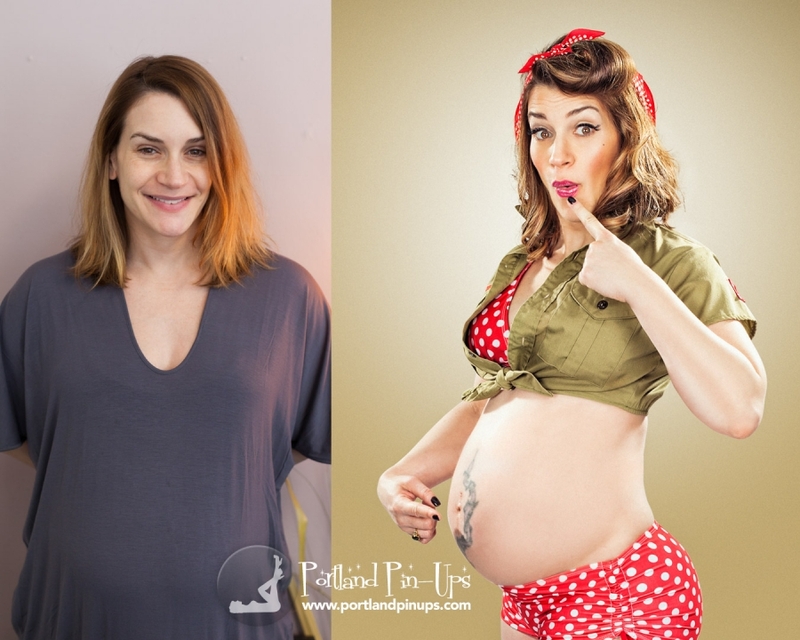 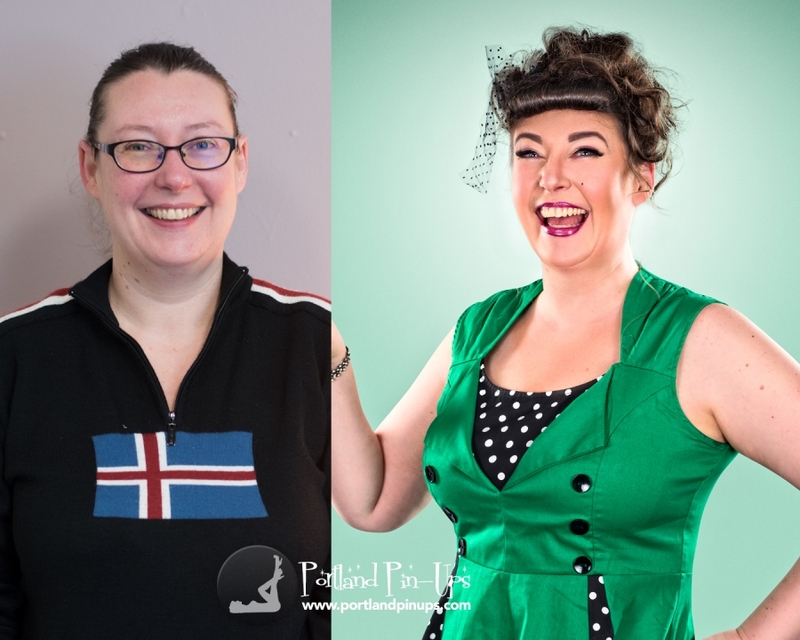 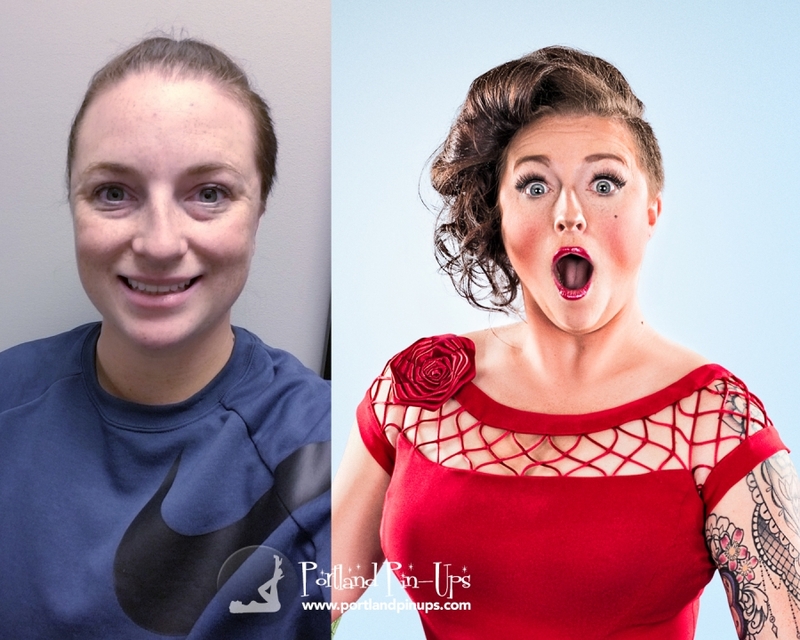 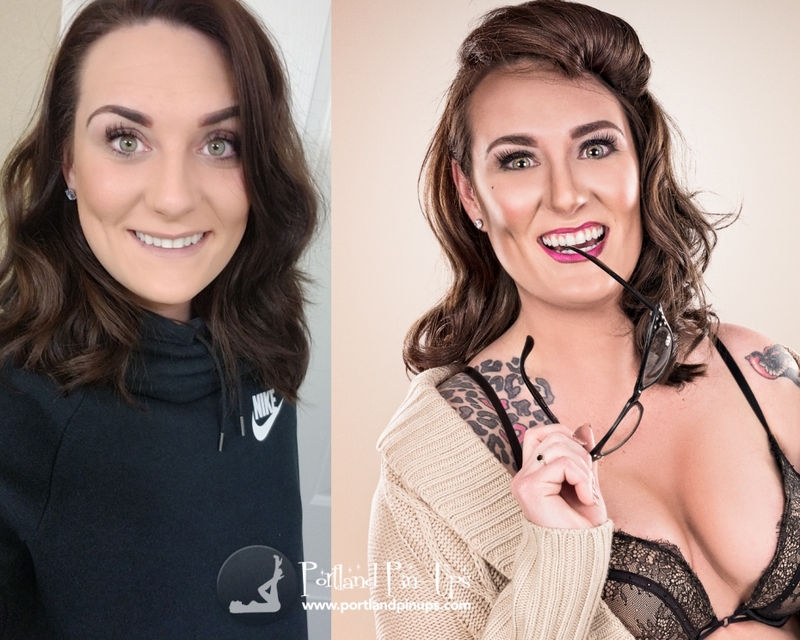 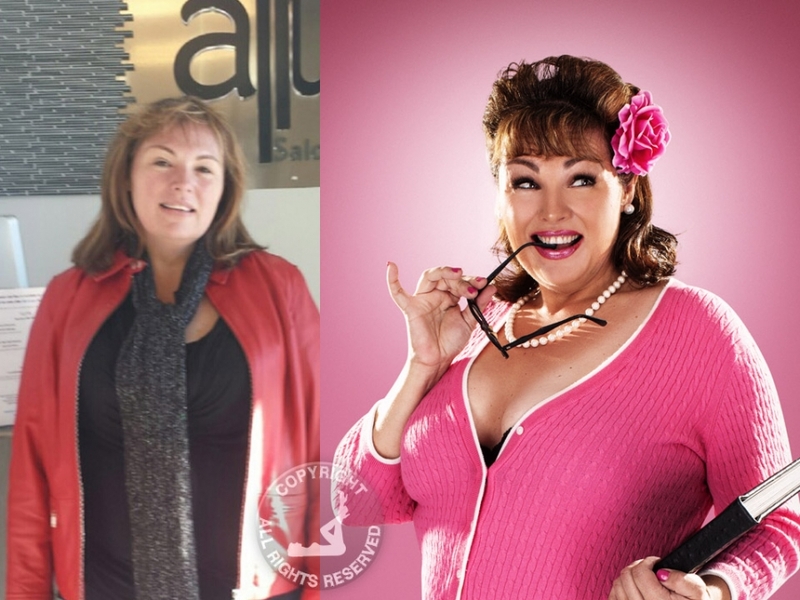 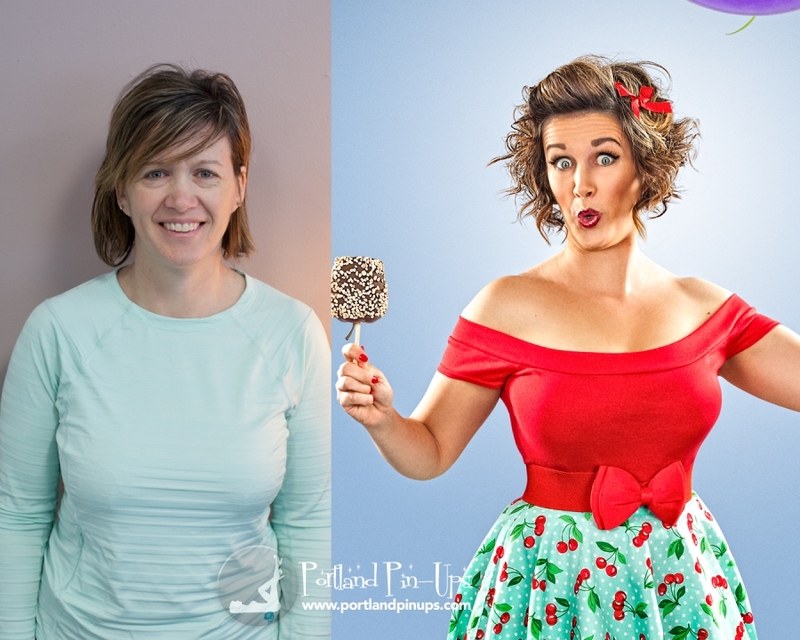 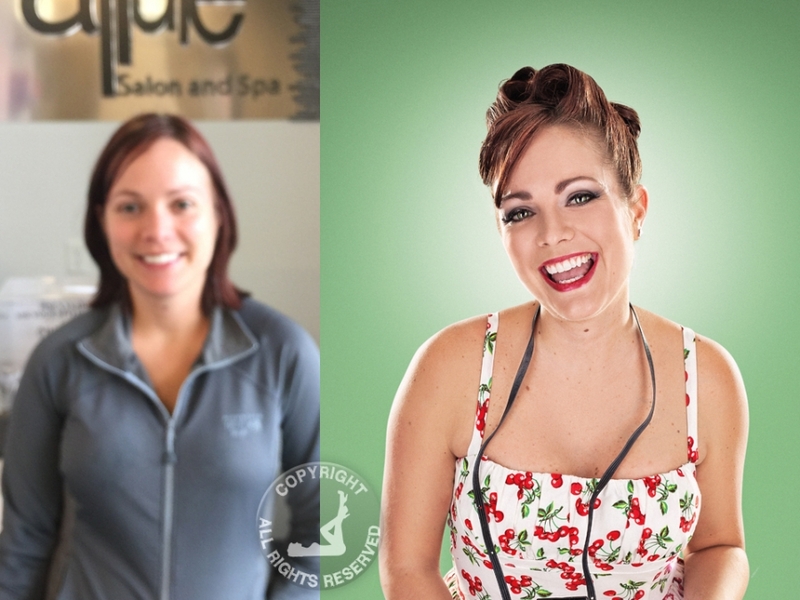 Our on-set creative team includes professional stylists Nicky and Erienne, and your own personal Bombshell for the day, Johanna, all dedicated to ensuring your experience with Portland Pin-Ups is exciting, unique and special. 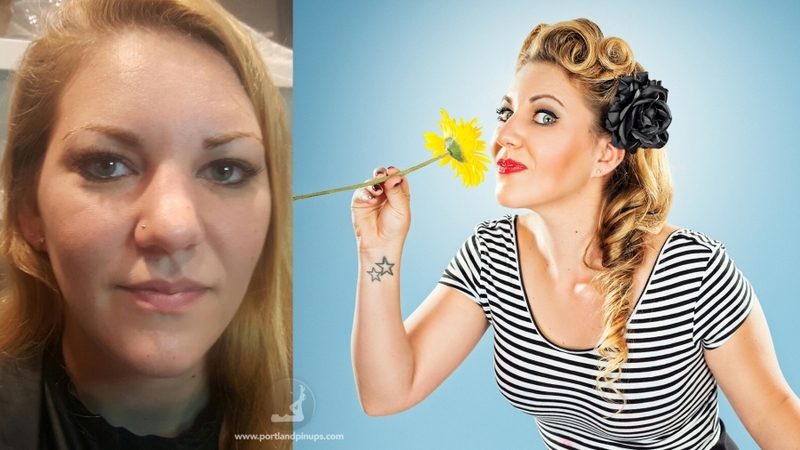 Mike long is the founding artist of Portland Pin-Ups. 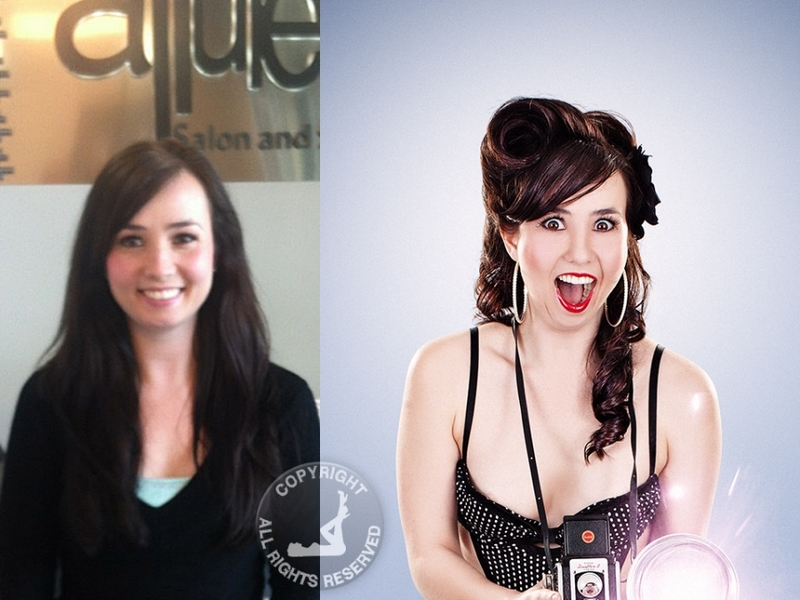 Unlike many photographers, Mike began his career as a retoucher prior to Adobe’s release of Photoshop, which led him to pick up a camera. 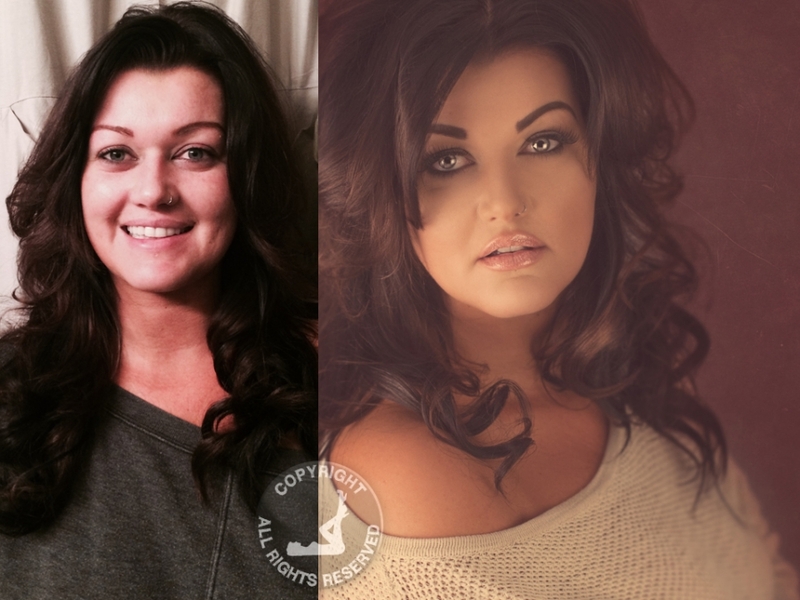 His knowledge of portrait enhancement is more extensive than the average photographer today. 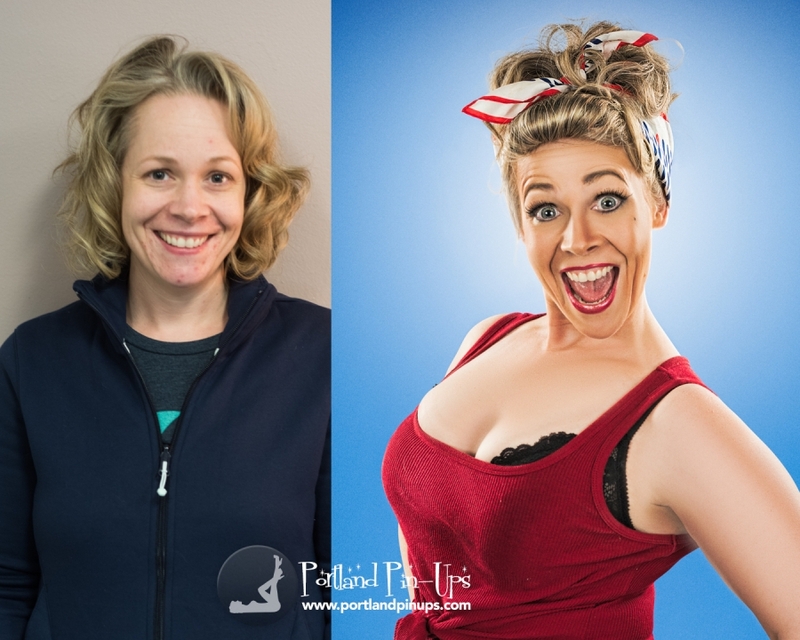 When comparing Mike’s often imitated work, his photography techniques are noticeable and differentiate him from the others. 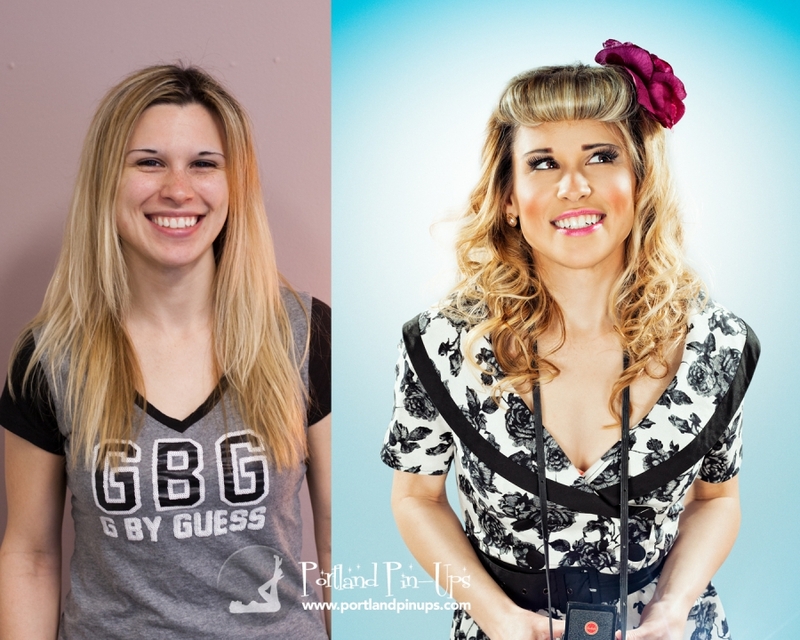 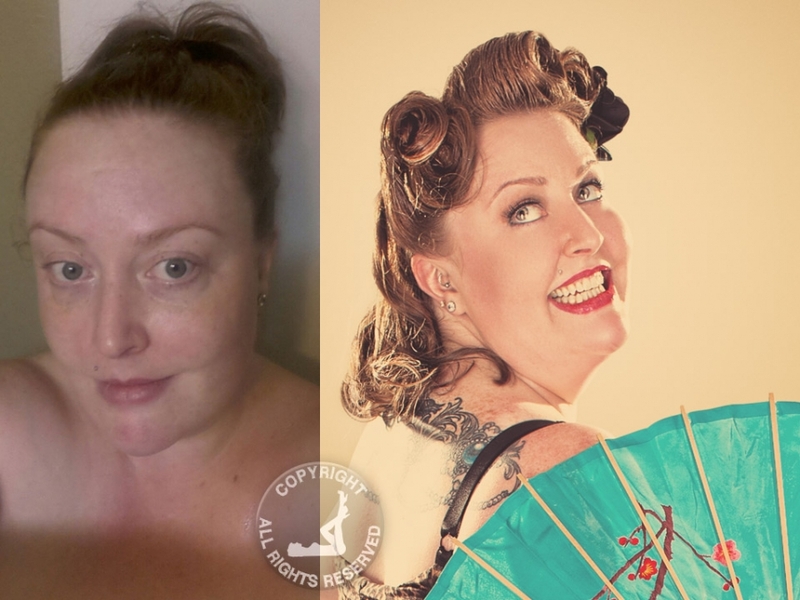 Christna Schroeder - I am interested in getting some more info on your pinup packages. 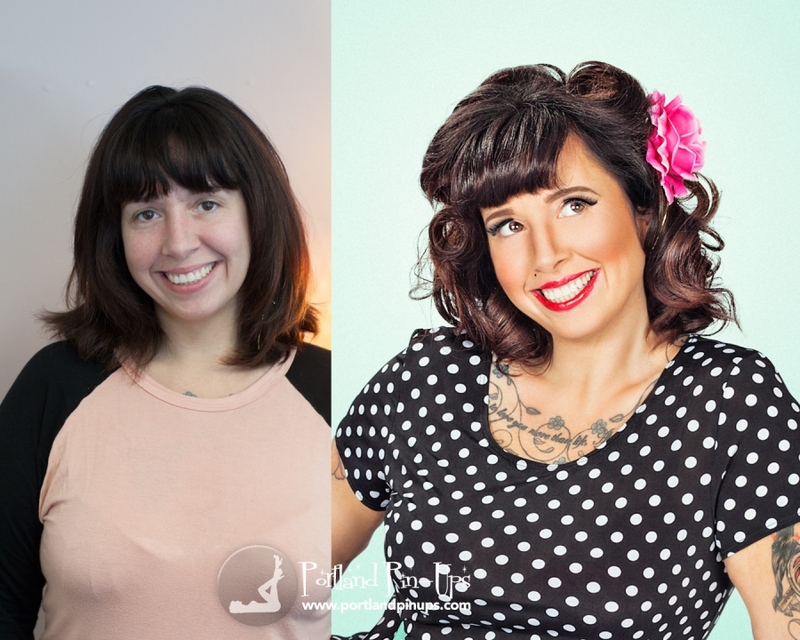 I have loved pinup forever and even had a 50’s inspired wedding. 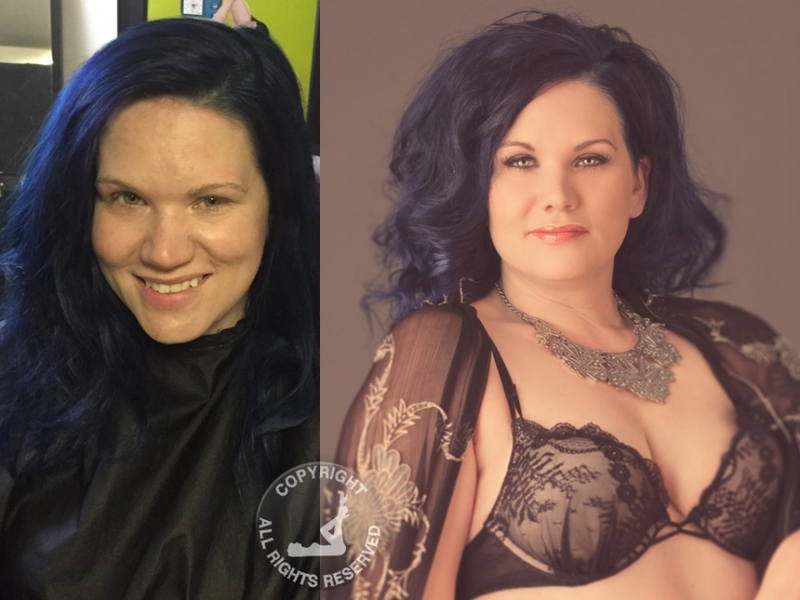 I am a larger girl and want to make sure the photos will make my husband drool. 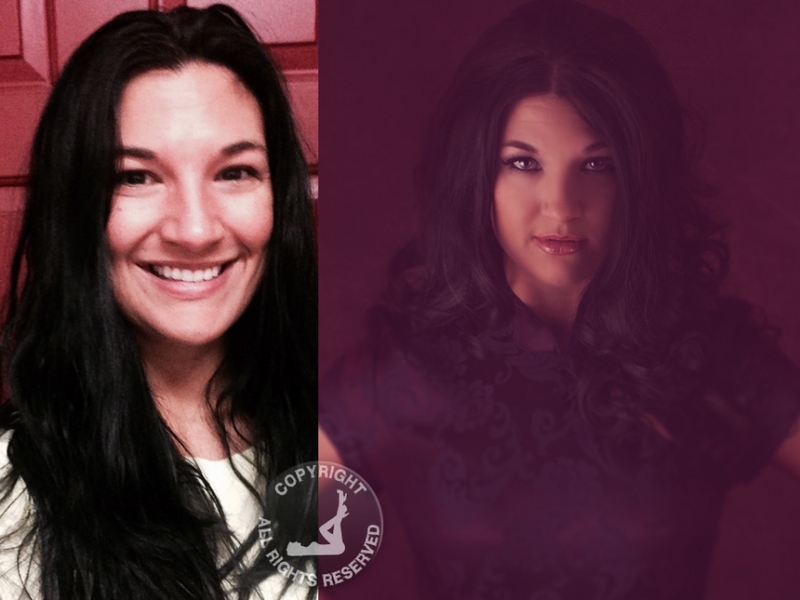 Kimberly Cottrill - I am interested in getting information about your packages. 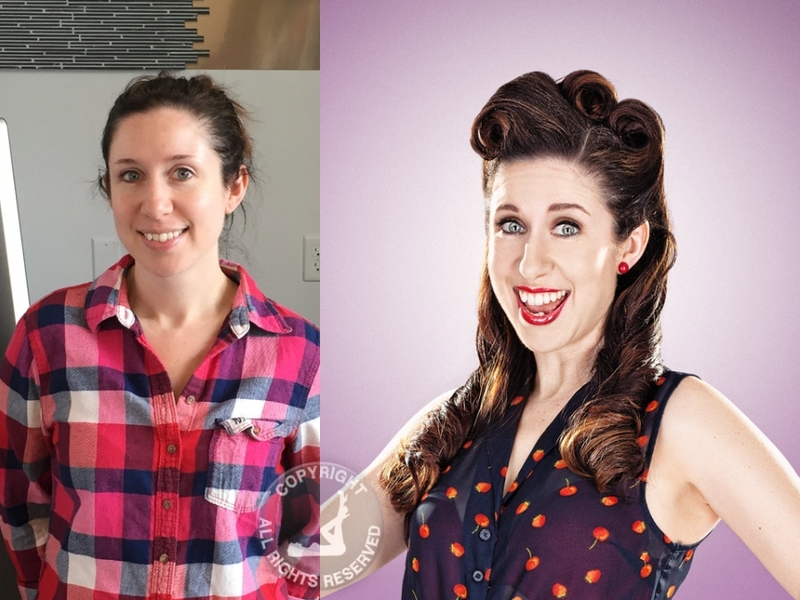 My boyfriend loves pinup and I would love to give him something to make his eyes pop.